Coverage: Douglas Broadcasting's Radio Stations cover a big part of East Central Wyoming. KKTY 100.1 FM is our big, 100-thousand watt Country station that reaches over 110,000 listeners in Converse, Niobrara, Platte and Goshen Counties, as well as parts of Natrona, Campbell, Weston, Laramie and Albany Counties. Cities and towns reached by KKTY 100.1 FM include Douglas... to the west, Glenrock, Rolling Hills, Casper, and Powder River... to the north, Wright, Bill and Newcastle... to the east, Lost Springs, Manville, Lusk and Van Tassell.... and to the south, Glendo, Esterbrook, Wheatland, Guernsey, Chugwater, Ft. Laramie, Lingle and Torrington. Hit Radio KKTS plays Today's Top Hits on 99.3 FM in Douglas, and 107.3 FM and AM 1580 in Casper. Our Classic Hits Stations, KKTY 93.3 FM / AM 1470, are more locally-focused, and reach Converse and Niobrara Counties and parts of eastern Natrona and northern Platte and Goshen Counties. Cities and towns covered include: Douglas, Glenrock, Rolling Hills, Lost Springs, Glendo, Manville and Lusk. Highway Coverage: Douglas Broadcasting's Signals reach over 200 miles of Interstate 25, the main north-south artery through Wyoming, offering trusted coverage of weather and road conditions through Wyoming's four distinct seasons. Douglas Broadcasting radio stations represent the best, most cost-effective media available in East Central Wyoming by which highway consumers can be attracted to your business. Highway coverage includes: Interstate 25 from south of Chugwater to north of Casper; U.S. 18-20 from Orin Junction to the Nebraska line; and The Energy Highway, Wyoming 59 from Douglas to Wright. Formats: KKTY 100.1 FM - Full Service Country. CBS News twice an hour. Local news hourly. Local weather twice an hour. Wyoming News and Sports from the Cowboy State News Network. Farm/Ag coverage from the Northern Ag Network. Douglas High School Bearcats football, boys and girls basketball play-by-play coverage. Named the Wyoming Association of Broadcasters 2004 Small Market Station of the Year. KKTS 99.3 FM / 107.3 FM / AM 1580 - Hot Adult Contemporary... today's hottest hits. NBC News twice an hour. Local weather twice an hour. Local news hourly. Wyoming News and Sports from the Cowboy State News Network throughout the day. News, Sports, Weather and the Best Hit Music are on Hit Radio, KKTS. 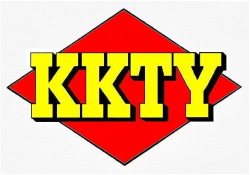 Classic Hits KKTY 93.3FM / 1470 AM - Good Times and Great Oldies from the late 60's, the 70's and the early 80's. NBC News and local news hourly. Local weather twice times an hour. Local news hourly. Wyoming News and Sports from the Cowboy State News Network throughout the day. Your Official Station for the Colorado Rockies, Denver Broncos and Wyoming Cowboys. Audience Served - Douglas Broadcasting serves a wide range of people in various occupations, including urban, energy, railroading, farming and ranching occupations. Sponsorships Available - News and weather sponsorships are available. Sponsorships are also available for farm and livestock reports aired on KKTY. Special packages and sponsorships are available from time to time. Sponsorship packages that include advertising space on the internet are also available. Contact KKTY for more information.